Packers' hall of famer Forrest Gregg, speaking with Lake Effect's Mitch Teich in 2009. 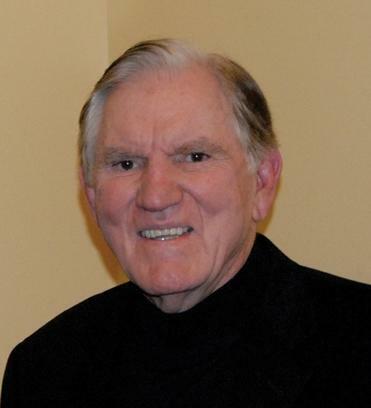 Forrest Gregg, Green Bay Packers' hall of famer, passed away at the age of 85. Speaking on Lake Effect following the publication of his 2009 memoir, Gregg described what made the Packers of that era special. "We had a great football team over a long period of time," he said. "The same guys playing every year, week in and week out. And we had guys who wanted to win and understood what it took to win, and gave the effort to win." Gregg himself played week in and week out — at one point starting in 187 consecutive games for the Packers — through Lombardi's entire tenure as coach in Green Bay. Following his playing career, Gregg coached the Cleveland Browns through three disappointing seasons in the mid-1970s. He later coached the Cincinnati Bengals to their first Super Bowl appearance, in 1981, and coached the Packers to a combined 25-37-1 record in four seasons in the 1980s. He was elected to the Pro Football Hall of Fame in 1977. "The Game lost a giant today," Hall of Fame President and CEO David Baker said in a prepared statement. Got some sad news today that my uncle passed away this morning.